Thursday, 13th September 2012 a product talk on ”Lockcase 2012:Security System” was held at Hibiscus Garden, Level 1 Pacific Sutera, Kota Kinabalu and was attended by 45 participants. 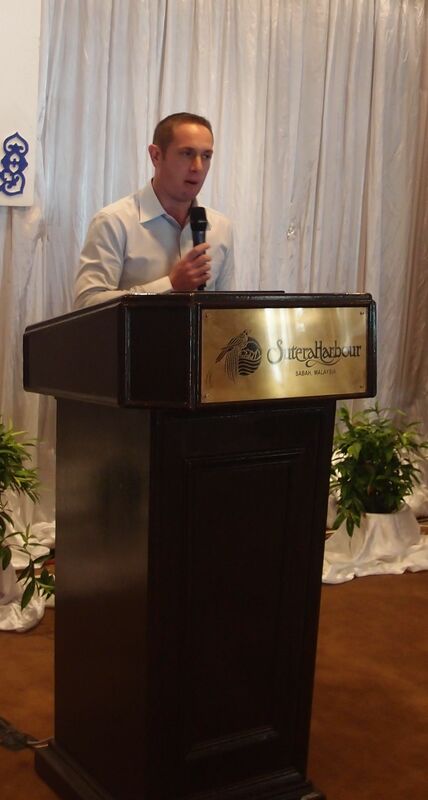 The Master of Ceremony, Mr. Bjorn Lidefelt introduced the speaker, Mr. Lyndon Payne, as the General Manager who heads the Product Management & Specification team for ASSA ABLOY South Asia and he oversees all new product development and major project from India to Vietnam and all countries in between. 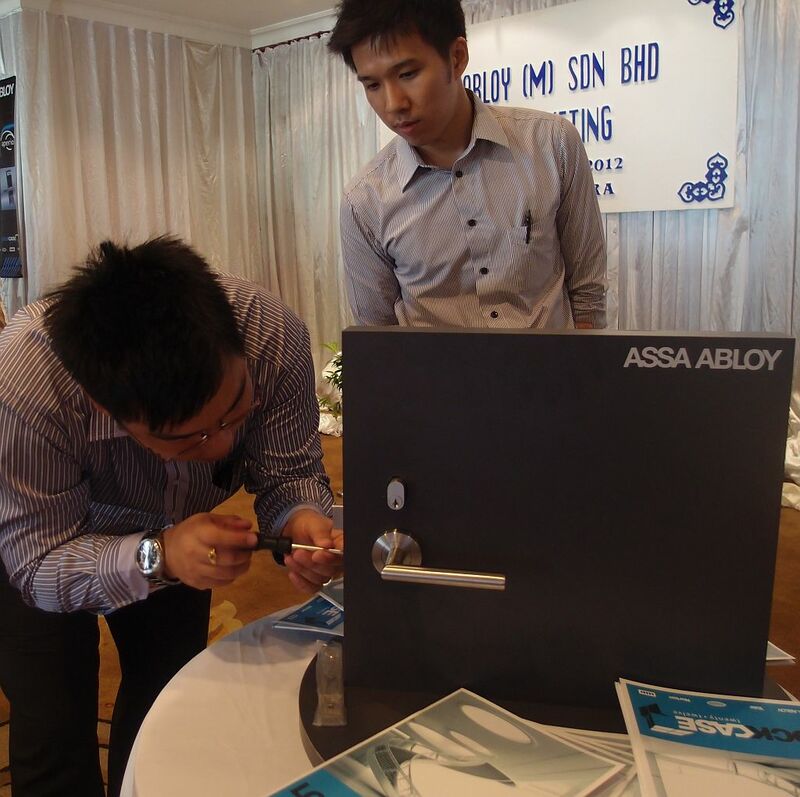 In his introduction, he spoke about the “ ASSA ABLOY story”, that they are the global leader in door opening solutions, dedicated to satisfying end-user needs for security, safety and convenience. He showed to the participants the types of digital locks that are available and explained in details the characteristics, functions, features and benefits. The talk was very informative and added with interesting video presentation on the future locking system where mobile phone is programmed as key to unlock and lock doors. Vote of thanks to all the participants, ASSA ABLOY team and Hume Marketing Sdn Bhd on the informative talk and for the generous sponsorship. The talk ended with fellowship and cocktail session at 5.30pm. A product talk on Types of Estop Green Waterproofing System was organized by the Chapter on Saturday, 15 September 2012 at PAM Mini Auditorium. 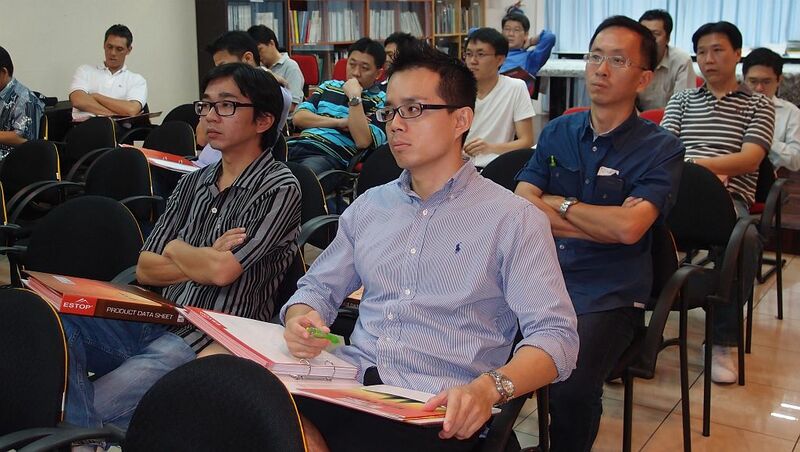 37 attendees comprising of professional architects, engineers and architectural graduates attended this talk. 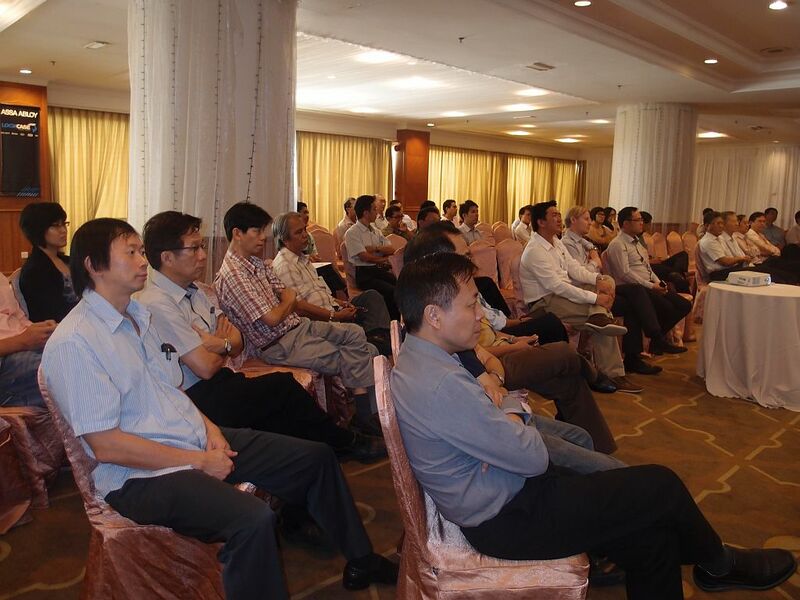 The speaker was Mr. Yong Wai Kit, Division Manager – Specification of Estop Sdn Bhd. He gave an introduction of Estop Sdn Bhd. He informed that Estop SdnBhd specialized in manufacturing and marketing of a comprehensive range of products including waterstops, surface treatments, cementitious, epoxy grout and repair products, waterproofing and flooring products using the technology acquired from an International Company based in Dresden, Germany; offering the highest standards of quality from the perfect combination of the “International Technology and Local Expertise”. Mr. Yong also cautioned the participants on the difference between water proof and vapour proof i.e vapour proof is also water proof, but water proof may not be vapour proof. This is important consideration when specifying pu or epoxy coating for car park flooring which must be vapour proof to avoid blistering. Mr. Yong finished the seminar by covering the different types of green roof for different types of vegetation i.e. extensive, intensive and those ranging in between. He also explained the importance of drainage and soil medium for healthy plants. The presentation was very informative and participants had the opportunity asking many questions. It ended at 1.00pm with lunch. Vote of thanks is accorded to everyone for making their valuable time attending the seminar and to the team from North Bridge Engineering SdnBhd and Mr. Yong Wai Kit for the informative presentation. A talk on “Green Construction and Sustainable Site Management” was organized by the Chapter on 8 September 2012 at PAM Mini Auditorium. The talk started at 9.15 am and was attended by 73 participants comprising of architects,engineers, QS and architectural graduates. PAM Sabah ChapterCPD Chairman, Ar. Mok Juang Yu welcomed all participants and introduced the speakers, Ir. 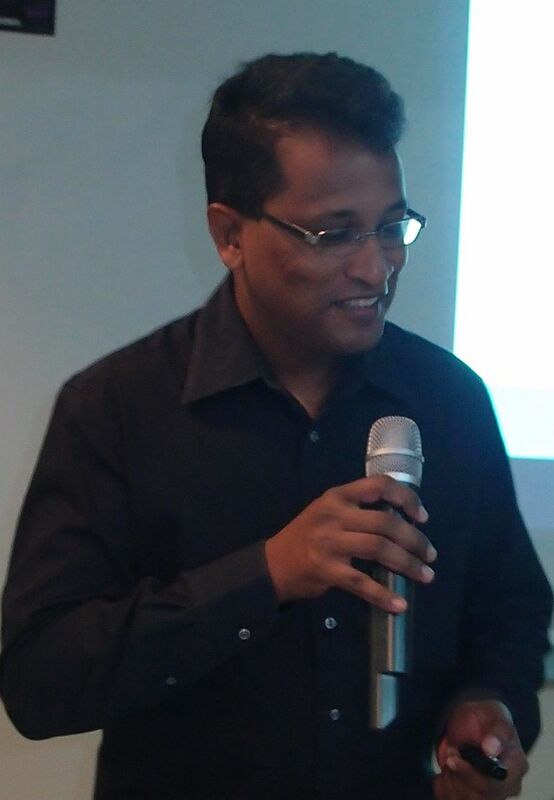 Thirukumaran Jallendran, a professional engineer registered with the Board of Engineers Malaysia. He is a founding member as well as the Honorary Secretary of the Malaysia Green Building Confederation (MGBC). He is currently one of the trainers for the GBI Facilitator Training program. He heads the R & D committee and is the Chairman of the GreenPagesMalaysia sub-committee as well as the Editor of the GreenPagesMalaysia green products and services directory. Ir. Thiru talked about how to manage green projects. He said sustainability in the construction and building sector is best achieved by actively pursuing a holistic approach that strives to strike a balance between the environment and the economy whilst maintaining a healthy consideration for the social need of humanity. 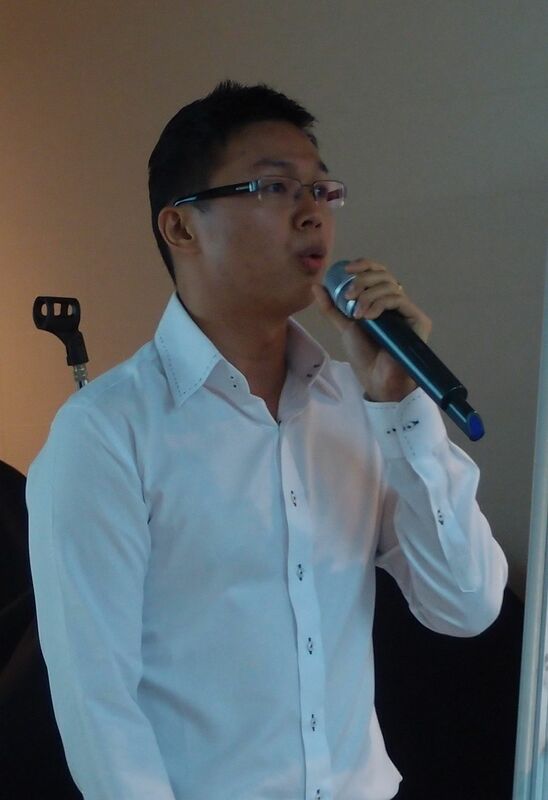 Mr. Ong introduced “ONDULINE® – Green & Energy Efficient Roofing”. ONDULINE® is the world’s largest manufacturer of corrugated composite sheets made of recycled cellulose fibers, high-grade bitumen and thermo-plastic resins which is a leading supplier of lightweight roofing and under-roofing systems.ONDULINE® has achieved a low carbon footprint and recycles some 200,000 tons of material each year. Natural pigments are used for colorations and its products contain no traces of asbestos. Vote of thanks is accorded to everyone present for making their valuable time to attend this informative and technical talk. The talk ended at 12.30pm with lunch.